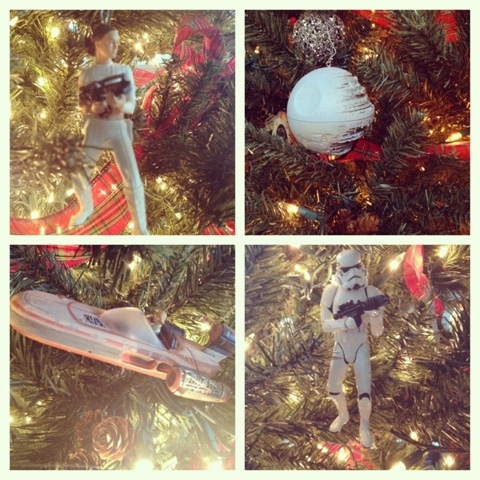 Over the years I have collected a lot of Star Wars ornaments (mostly from Hallmark) that I received as gifts. 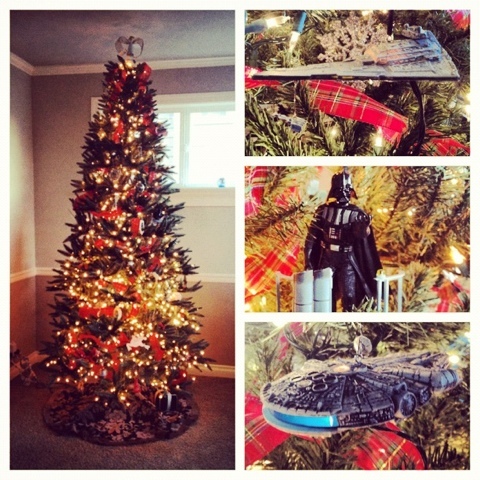 When shopping for Christmas gifts for a nerd it's hard to go wrong with Star Wars ornaments! I also have a lot of Disney ornaments. When I was a kid my sister and I had a mini Christmas tree that we filled with only Disney ornaments so I have a whole shoebox full of them. 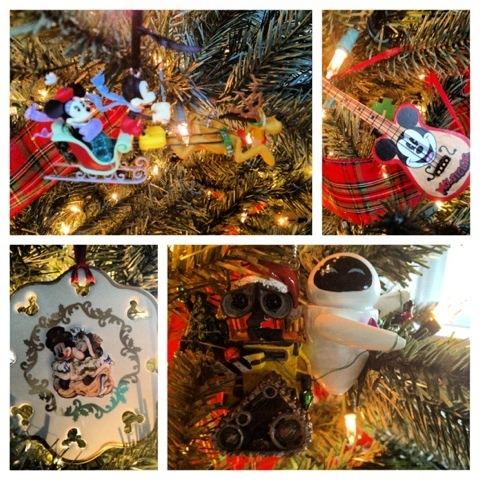 My hubby likes to go to Disneyland a lot so I try to get a different ornament for each trip. I love my Arena Battle Padme ornament because that was my first Star Wars costume I made! The Looney Tunes ornament actually has working gears with a handle you turn to raise and lower Wile E. Coyote. Cool! 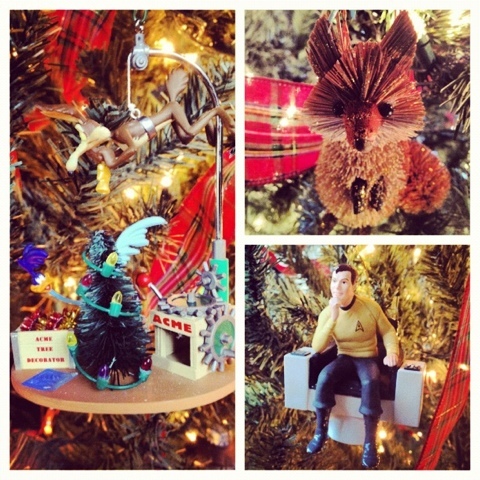 Captain Kirk is my only Star Trek ornament but he looks awesome commanding from his chair near the top of the tree. And that little fox is just cute, isn't it?